The CoffeeShop Blog: CoffeeShop "Fall Leaves" Storyboard for Print or Web! CoffeeShop "Fall Leaves" Storyboard for Print or Web! Happy Friday!!! I just fixed the download link, sorry about that! 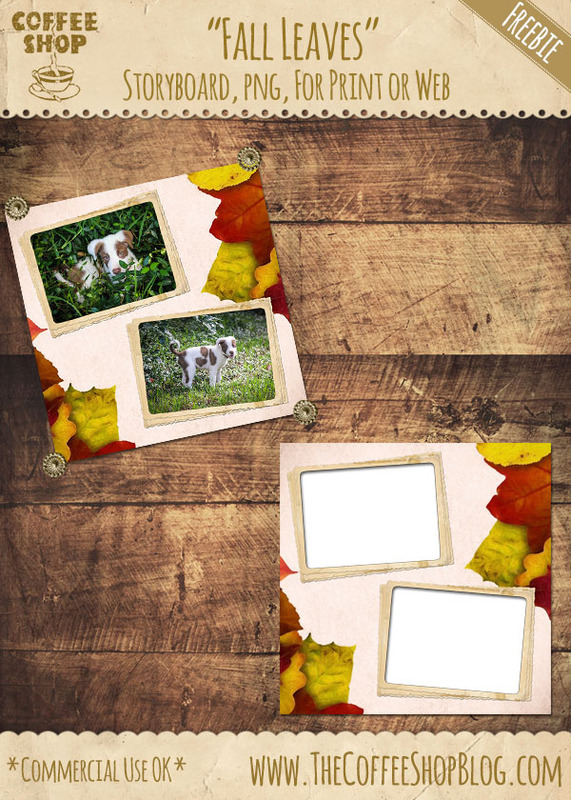 Today I have a simple fall leaves storyboard that you can print or post on the web. It is a simple png file so you can drag your images under the frames and resize them to fit. Download the CoffeeShop "Fall Leaves" Storyboard. Link fixed, thank you so much!